A lot of gamers these days complain that there are too many tutorials, too much hand-holding, and no confidence that players will understand new controls. While I do agree with this most of the time, there are some cases in older games where the game could stand to help you out a bit more. This happened to me in my first playthrough of The Wind Waker. Most of the game was well explained and helpful hints were given in the form of the Pirate’s Charm, but there was one point that I was stumped beyond belief. 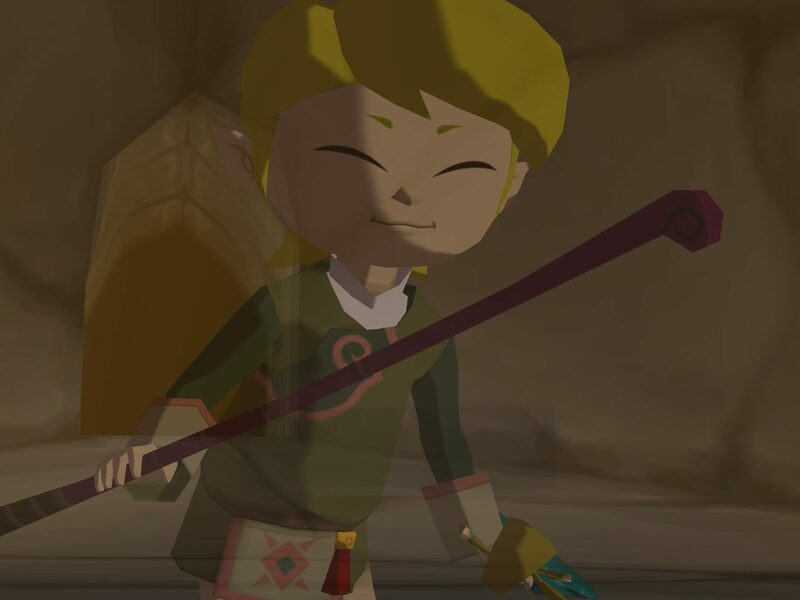 Things were getting good: I had just gotten the Master Sword, I defeated the Helmaroc King, and while I wasn’t strong enough to defeat Ganondorf yet, we figured out how to restore power to the sword, and that was where this trouble began. I was given two locations to choose from to see what happened to the sages who resided there. One was to the north, and the other on the opposite end of the map to the south. I chose to go north first and found my way to Gale Island. 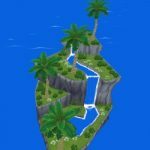 When I arrived, I was unable to get onto the island as the fierce winds (upon which this island was named by) kept pushing me back towards the sea. I sat there and thought of what I could possibly do to get through these wicked winds. The best idea I came up with was to try and chuck bombs towards the stone that the whirlwind was coming from. They blew back towards my direction and I took quite a bit of damage. I later found out from my friend that I was supposed to go to Fire Mountain and the Ice Ring Isle to get special items for these two temples. But how was I supposed to do that? Luckily for me, my friend also told me the secret of the Fairy Queens whereabouts and that she would give me the Fire and Ice Arrows. I mean, I probably would have found out from the Fishmen if I didn’t, but knowing me and my antics, I probably wouldn’t have tried to feed them until the very last minute. During my first playthrough, I nearly forgot they existed and only started using them when I needed to find the Ghost Ship. I got the items that I needed to subdue the extreme temperatures of each island and made my way to the Fire Mountain first. I was excited to begin my trial and beat the clock, and admittedly, it took me a few times on my first try. Those stupid Fire Magtails kept slowing me down! But I did succeed and, happily, I opened the chest to find the wrong items. Welp. According to my friend, I would need these Power Bracelets for the next dungeon, so it wasn’t a total loss. At least I knew where I could find the item that I would need for sure as there was only one other location: the Ice Ring Isle. 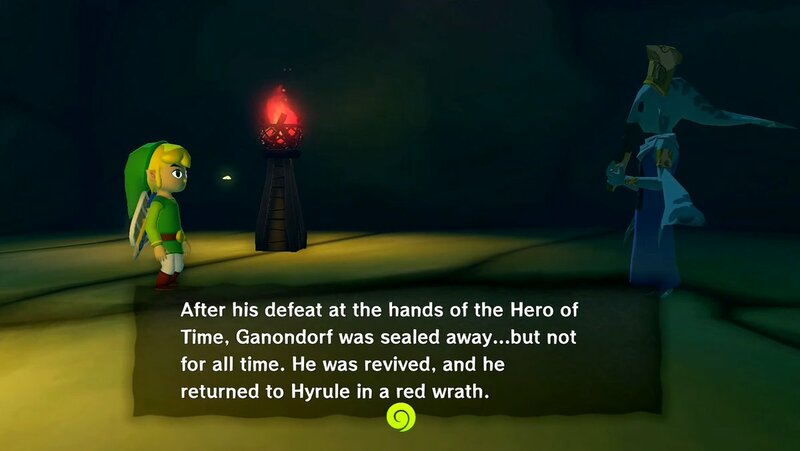 Though nowadays it’s one of my favorite places in The Wind Waker to explore, this trial was even more difficult than the last. 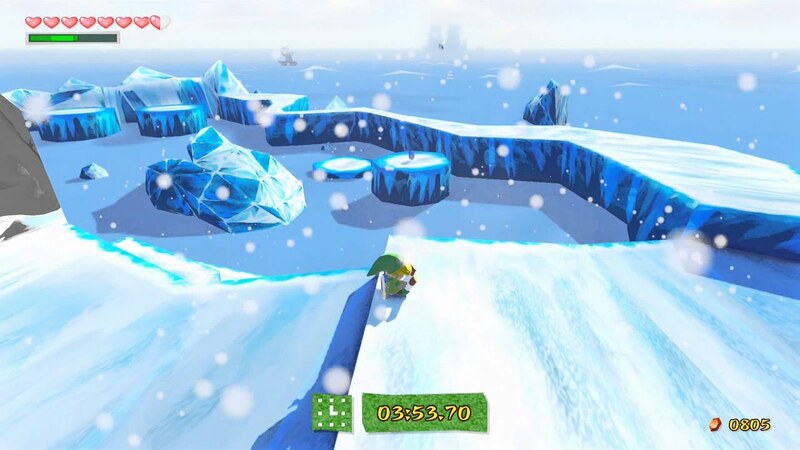 If I had a rupee for every time I slipped into the water or off the cliff on that ice slide, I’d be a rich Hylian. It was those darn ice floes! They got me every time! At last, I had conquered the Ice Ring Isle and obtained the Iron Boots that would help me trek the gusty island. I returned triumphantly, hammer in hand as I marched up to the stone that gave me so much trouble before. I happily smashed the rock into a hundred pieces and continued into the cavern. There I was greeted by Fado, the Wind Sage (or the previous one, at least). It appeared the sage was killed by Ganondorf and I needed to find his successor. 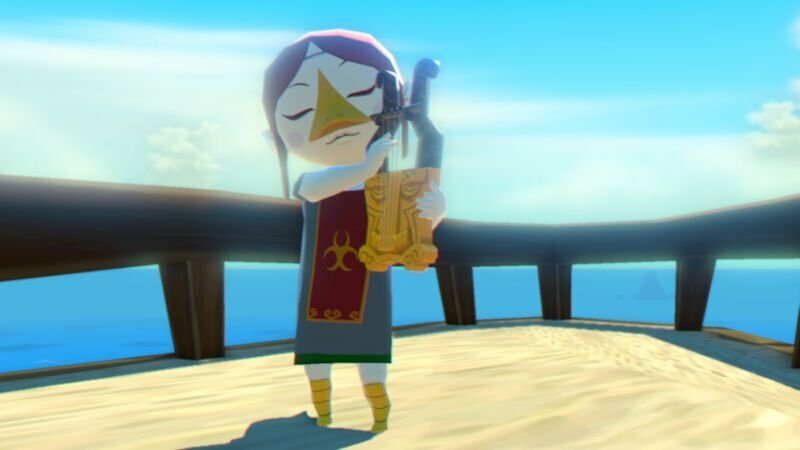 Once he showed me his instrument, I knew immediately that Makar had one just like it. I set sail on the open seas again and made my way for the Forest Haven. I arrived at Forest Haven and made my way inside the large tree. Once I entered the inner sanctum, I searched far and wide for my little Korok buddy, but I couldn’t find him anywhere. I once again turned to my friend who I regarded as the “Zelda Master”, and he told me about Makar’s secret hiding space. I knew something was up when I heard a strange violin melody interrupting the usual theme of the Forest Haven, but I seemed to have missed the music notes coming from behind the waterfall. My friend was with me when I entered Makar’s getaway. I approached the little creature and played him the “Wind God’s Aria”, but when I did, nothing happened. My friend and I were confused as to why nothing was happening. He told me there should be a cutscene, but no such thing occurred. We spent another fifteen minutes or so trying to solve this mystery before we realized that maybe we had to do the other dungeon first. Made sense to me, I guess — but why didn’t they tell me there was an order? Or just mark one spot instead of both simultaneously? He had to go home before I made it to the next temple entrance, and since I already had the Power Bracelets, I at least didn’t need to take another detour. I threw the oddly shaped stone head out of the way and entered the building. Another spirit greeted me: Laruto, the Earth Sage. I was too busy obsessing over how cool she looked to really pay much attention to what she was saying. This was my first time seeing a Zora as I had no knowledge of their existence, this being my first Zelda game and all. Finally, she showed me her instrument and told me I needed to find someone with the same one. Welp. Yeah, that’s nice and all — so lets talk about that tail on your head. Who had a harp like this? I didn’t remember anyone with any such instrument. My thoughts were to visit all the previous “big” islands — Outset, Windfall, Dragon Roost — the latter of which I, of course, saved for last. Before I even got to Dragon Roost, my friend had visited again (another day, as this took quite a few) and told me to see Medli. The bird girl? Why would she have a harp? I didn’t remember that. Now, it would be understandable for me not to think of Medli if I hadn’t visited Dragon Roost all this time after I beat the first dungeon. But I did. And I saw her play it. And I played with her. And I totally forgot. All in all, I did do everything I needed to. I just did it completely out of order. It took way longer than it should have, and it was a stressful process, but I did it. Even if I had fed the Fishmen and gotten their tips and hints, none of them would have been able to prevent me from going to the wrong temple first. 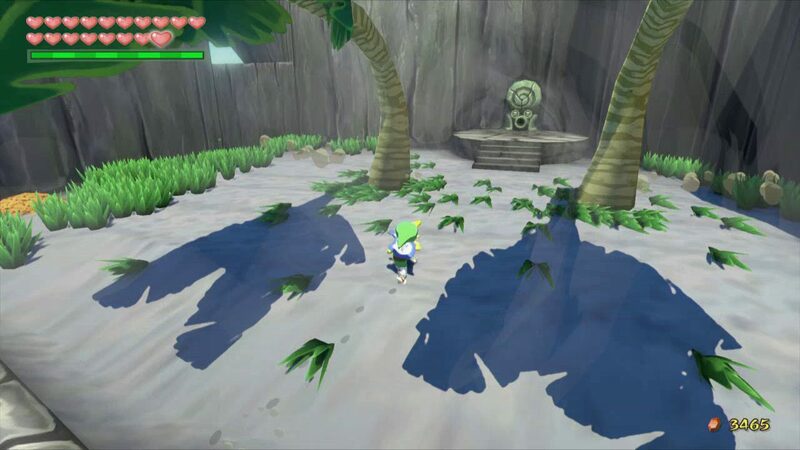 I often wonder if I was the only one who did this, or if there even is a way in the original Wind Waker to find out which direction to go first. I can at least say I never forgot the dungeon order ever again after this long, long detour.